The Family Law Hotline attorney can not represent you in your family law case. The attorney may give you the phone number of a lawyer referral service in your area that may help you find an attorney to represent you. You may call the Hotline as often as you need. Due to the heavy volume of calls received, Hotline services are limited to brief conversations that will provide you with information. The Family Law Hotline services are available only to callers who are low-income. The Hotline attorney will ask you about your income and will collect other basic information. The Family Law Hotline is operated in partnership with the Legal Aid Bureau, Inc. Your call will be answered by a Women’s Law Center staff attorney, volunteer attorney or Legal Aid Bureau staff attorney. 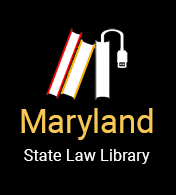 All Family Law Hotline attorneys are knowledgeable about Maryland family law.